Copyright © 2018 CAD Masters, Inc. All rights Reserved. 1. Obtain a license file. 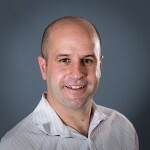 You need the computer name of the machine that will run the license manager, as well as the MAC address of the primary network card. Please contact us for assistance in obtaining a license file. 2. 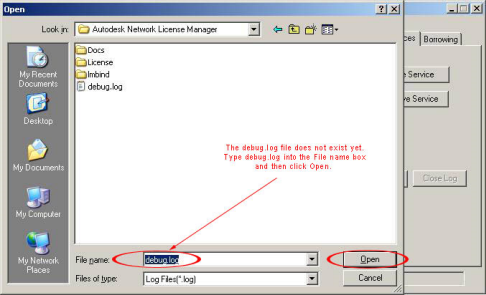 Download the latest version of the Autodesk Network License Manager Software here. 3. 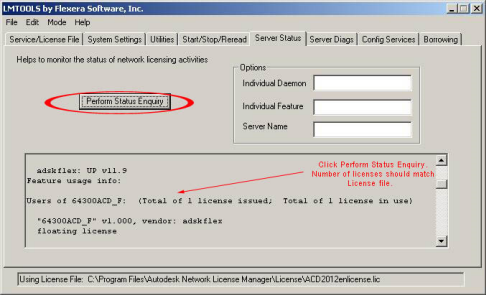 Install the network license manager from the download. 4. 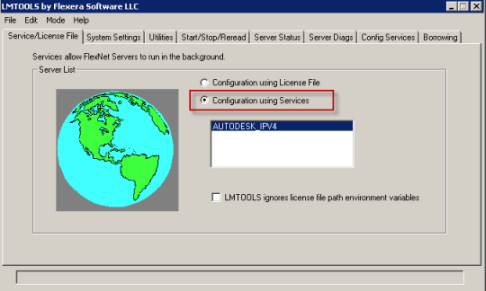 Place the license file obtained in step 1 in C:\Program Files\Autodesk Network License Manager\License, or whatever folder you specified for the installation location. 5. Launch the LMTOOLS Utility from the icon added to the Desktop by the installation and go to the Service/License File tab. 6. Configuration Using Services should be toggled on. 7. Go to the Config Services tab and type in a new service name or accept the default name. 8. Click the Browse button next to the Path to the lmgrd.exe file. It is located in the installation folder, C:\Program Files\Autodesk Network License Manager. Select it and click Open. 9. Click the Browse button next to the Path to the license file. 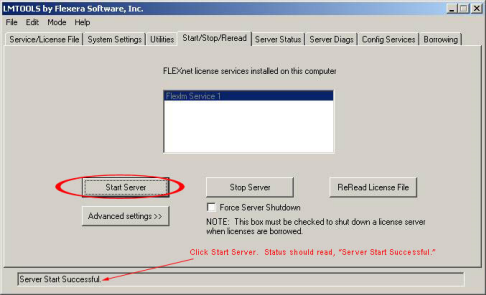 Browse to the license file located in step 4, and click Open. 10. Click the Browse button next to the Path to the debug log file. Browse to the installation folder, C:\Program Files\Autodesk Network License Manager by default. In the File name cell, type debug.log and click Open, and the log file will be generated for you. 11. 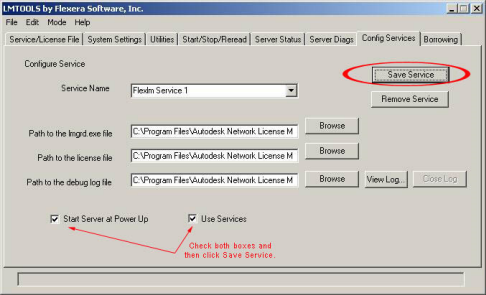 Toggle on Start Server and Power Up and Use Services, and then click Save Service. 12. Go to the Start/Stop/Reread tab, and click Start Server. It should say Server Start Successful at the bottom of the window. 13. The server is now up and running. Go to the Server Status tab and click on Perform Status Enquiry to verify. The window below should read out how many license files you have and how many are in use by which user. Copyright ©2017, CAD Masters, Inc.. All Rights Reserved.